First of all a belated Happy New Year to everyone. It's not started too well for me as my PC has been poorly. Not being able to use it felt like I had had my right arm cut off so I think the time is coming when I shall have to take the plunge and buy a new one but the thought of getting a new one set up and moving all my stuff over is not something I relish doing !! Anyway here are my first designs for 2015 which are available on my website. 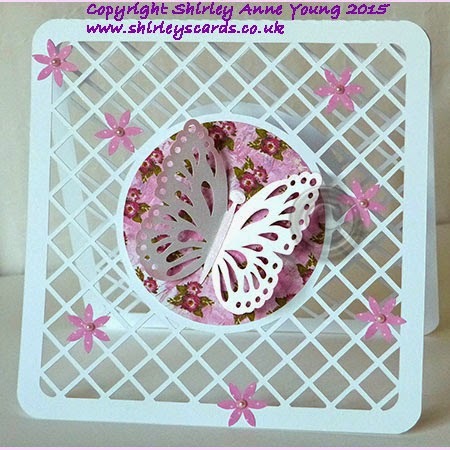 I have almost finished a freebie card for you which I hope to post in the next day or two. 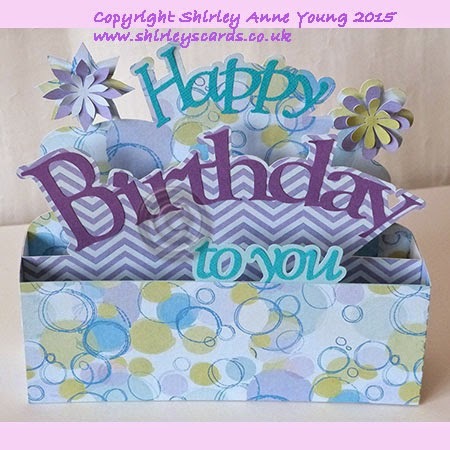 Fab box card Shirley - like a party in a box! Sorry to hear about your PC, it's like loosing a friend isn't it. I had the same problem last year and had to bite the bullet and get another one, luckily my son moved all my stuff over, I'd never have been able to do it myself, I hope you'll soon get sorted. Both GREAT cards Shirley, what a wonderful start to the year. Hope your 'puter acts well for you, SIL had a new one with Windows 8, it was supposed to be a breeze to move files.